My husband's job recently took us to LA, where the drinks are very pricey and the traffic is outrageous! But enough disgruntled southerner talk, because all in all this was a place with gorgeous weather and plenty to see. If you stick to one or two areas and just walk around where you are, the traffic won't be an issue. 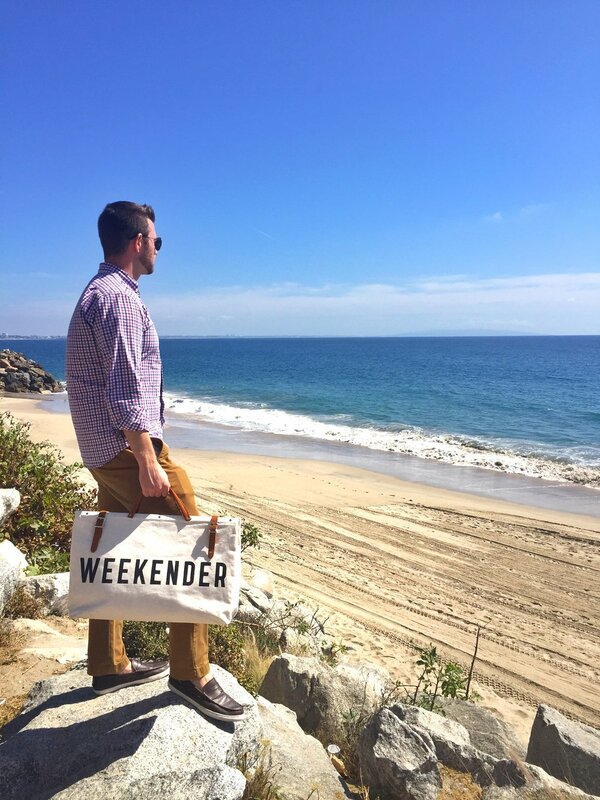 Or, if you want a stellar West Coast sight, Malibu is a great escape from the city. Here are some of my favorite parts of the City of Angles to check out, and soon I'll share a recap of a great LA road trip we took to Palm Springs! This is the area where we stayed, and it felt very safe and walkable with plenty of great restaurants nearby. We LOVED Catch, which was apparently the new kid on the block that had been recently graced by the Kardashians, etc. We felt a little judged by the hostess for not being important and not having reservations, but the bartenders were awesome and so was the vibe- open air & copper everything! The La Cienega Design Quarter area & Melrose Place are great for fancy schmancy window shopping (I literally just stayed on my side of the widow). This is also the home of the world's cutest coffee shop, Alfred Coffee. They have a few locations, but the one on Melrose has the most adorable chocolate shop in the back, Compartes. It's an LA based chocolatier with the cutest packaging and every add-in you can dream of to have in your chocolate! I met up with a friend, Colleen, so we could be ladies who lunch for the afternoon! 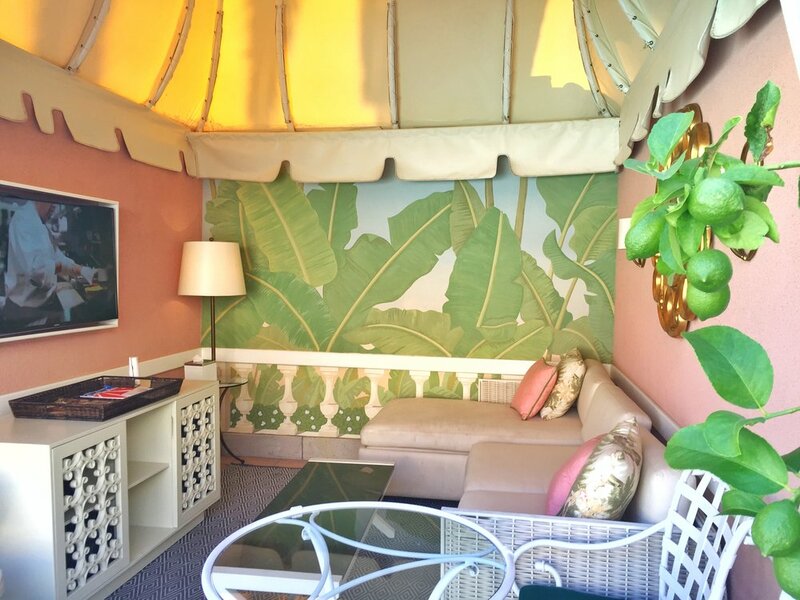 What better place to dine with another vintage lover than the pale pink and green paradise, The Beverly Hills Hotel. This is a little slice of retro heaven, where you feel like you might see the Golden Girls at any minute! The Cabana Cafe was pretty pricey, but definitely worth it for the vibrant poolside surroundings. 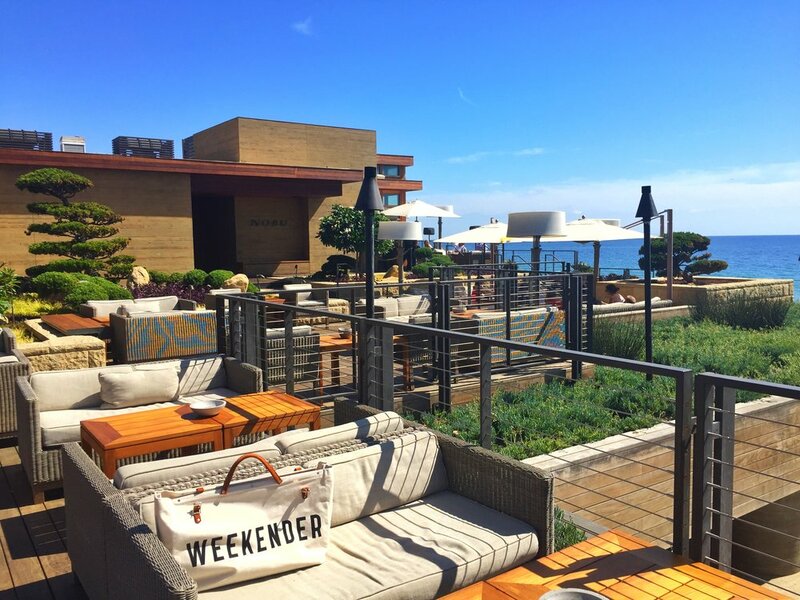 I say yes, boo to Nobu in Malibu! 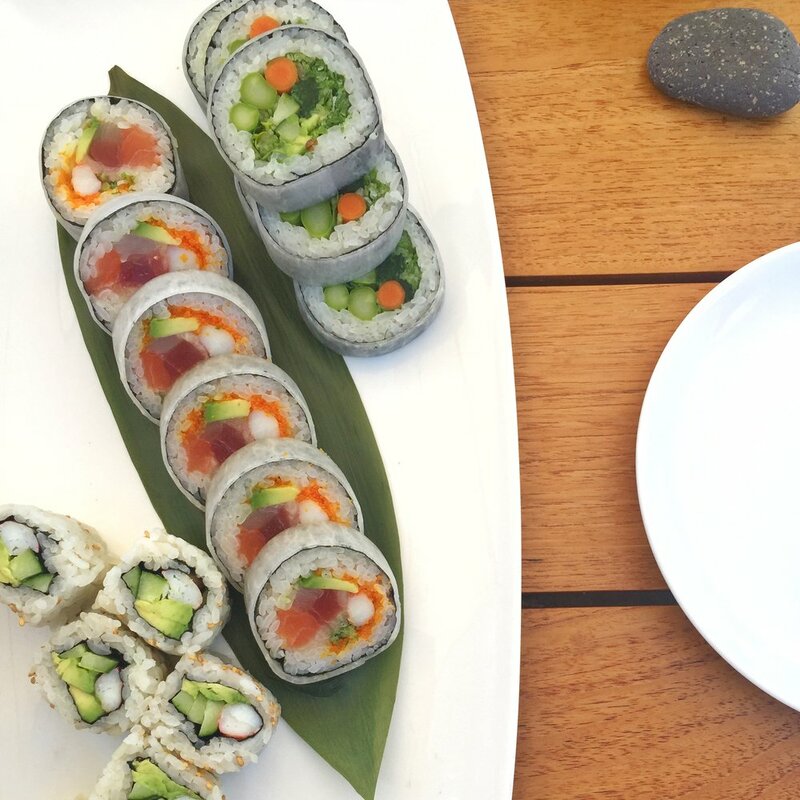 We had a hard time deciding which waterfront locale to have lunch at, but you just can't go wrong with Nobu. It's really not as swanky and lavish as you might think for a supposed celeb hangout; the sushi is plentiful and reasonably priced. We had a great view from our cozy outdoor lounge seating as well. I was glad I had a Turkish towel to wrap up in, though, because that breeze had us feeling a little chilly in the shade of the umbrella! We did a quick drive-by to LACMA so we could see the Urban Light exhibit. Behold, 202 restored cast-iron streetlamps, which all come from LA and surrounding cities in the 1920's! And of course, no West Coast trip would be complete without a little visit to In-N-Out!